In this WSJ Podcast, scientists from the IBM’s T J Watson Research Center describe how quantum computing will enable a new age of scientific discovery. 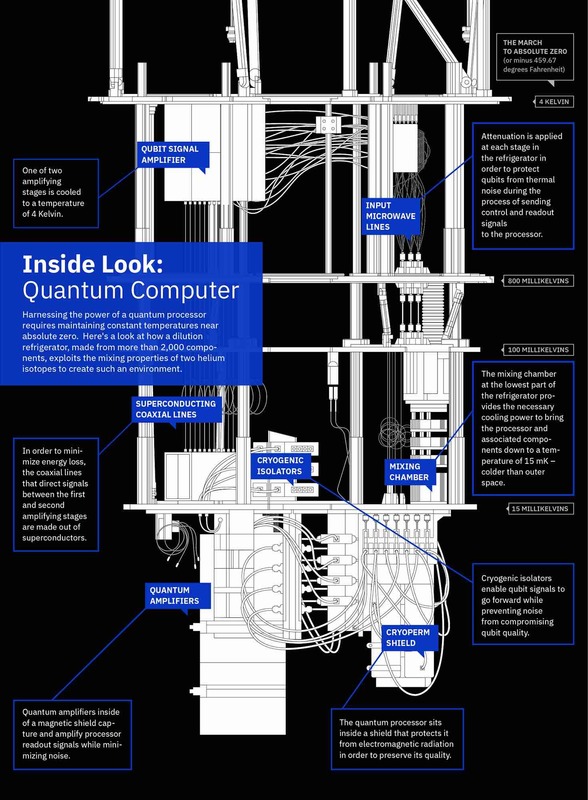 Quantum computers are incredibly powerful machines that take a new approach to processing information. Built on the principles of quantum mechanics, they exploit complex and fascinating laws of nature that are always there, but usually remain hidden from view. By harnessing such natural behavior, quantum computing can run new types of algorithms to process information more holistically. They may one day lead to revolutionary breakthroughs in materials and drug discovery, the optimization of complex manmade systems, and artificial intelligence. We expect them to open doors that we once thought would remain locked indefinitely. IBM Q systems will be designed to tackle problems in business and science that are too complex and exponential in nature for classical computing systems to handle. One of the first and most promising applications will be in the area of chemistry. Even for simple molecules like caffeine, the number of quantum states in the molecule can be astoundingly large — so large that all the conventional computing memory and processing power that could ever be built could not model it. Jerry Chow, manager of experimental quantum computing for IBM Research, explains that modeling a molecule is the key to understanding its properties — and could lead to the discovery of new materials and medicines.